With two sexual assault allegations out against Supreme Court nominee Brett Kavanaugh, in addition to persistent questions about his qualifications from Senate Democrats, the Republican Party has taken action to defend the candidate it believes to be best suited for the position: GOP lawmakers are trying to win support for Kavanaugh by insisting that he’s pretty much the friendliest sexual predator they’ve got. This is a clear sign that the GOP isn’t going to just sit back and watch accusations against a sexual predator like Judge Kavanaugh rack up without defending his integrity. 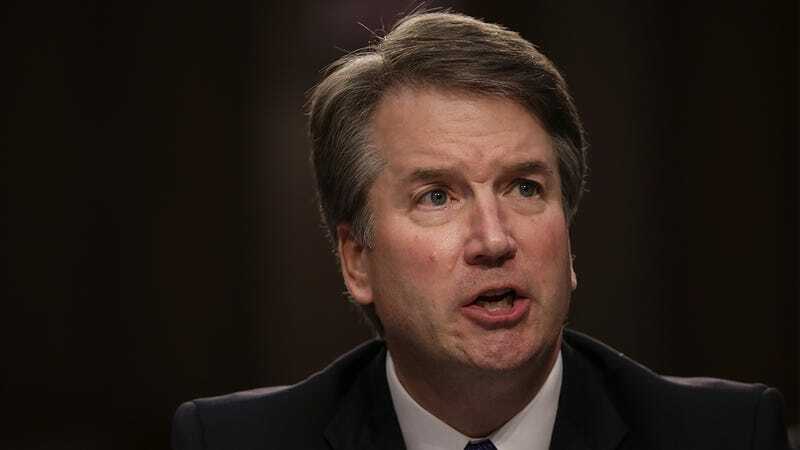 In a meeting yesterday on the Senate floor held after the release of a New Yorker story chronicling the second assault allegation against the Supreme Court nominee, GOP leaders argued that you’d be hard-pressed to find a friendlier sexual predator than Brett Kavanaugh, adding that, considering some of the other perverts they could’ve nominated in his stead, Democrats should be thanking their lucky stars to have such a smiley and approachable dirtbag up for confirmation. GOP lawmakers continued to highlight just how special a warm-hearted sexual assailant like Kavanaugh is, noting that, out of all the sexual predators they could’ve nominated for the role, he by far offers the closest approximation of human decency. Representative King then visibly shuddered. With a public hearing between Judge Kavanaugh and his accuser Dr. Christine Blasey-Ford scheduled for later this week, this is proof that the Republicans aren’t backing down from defending one of the nicest sexual predators in their party anytime soon.